Citronella Java essential oil, is a volatile oil which is extracted from the leaves of Cymbopogon winteratus, (Java type) by steam distillation. Its color is light yellow and its aroma has a fresh, woody, lemon scent. It is used extensively as a source of perfumery. Cymbopogon winteratus is a plant native in Indonesia. --- > Historical and Traditional Use The name Cymbopogon winterianus is given to the memory of Mr. Winter-an important oil distiller of Ceylon, who first cultivated and distilled the Java type of citronella oil, known also as Maha Pangeri type, in Ceylon. The main producers of this essential oil are China and Indonesia. It is also produced in Argentina, Brazil, China, Honduras, India, Indonesia, Jamaica, Madagascar, Mexico, South Africa, Sri Lanka, and Taiwan. Due to the high proportion of its constituents, citronellal and geraniol, the Java citronella oil is one of the most widely used perfume oils --- > BLENDS: Citronella oil blends well with: bergamot, cajeput, cedarwood atlas, clary sage, eucalyptus Australiana, geranium, lavender, lemon, orange, peppermint rosemary, sage Dalmatian, tea tree, thyme red. --- > Shelf life Keep the citronella essential oil for 2 years in a cool, dark place. 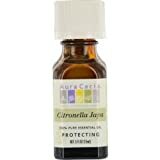 Incognito organic java citronella oil 10 ml is at least twice as strong as the ordinary common variety of citronella; possibly because insects have been unable to build up any tolerance because of its rarity. In aromatherapy citronella oil is said to possess activating and warming qualities both physically and mentally. Citronella oil blends well with cedar wood orange, geranium, lemon and bergamot.